The last stop on a tour of the John F. Kennedy Presidential Library and Museum leaves a lasting impression. A pass through the historical exhibits excites the mind with the glamor and constant motion of the Kennedy era. Then, as sudden as the gunshots on a November day in Dallas, visitors enter the soaring pavilion area with a startling sense of finality and, at the same time, hope. 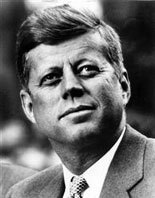 Gazing out at the vast sky and Atlantic waters enjoyed so much by John Kennedy, the overwhelming feeling is that the dream of American prosperity and personal fulfillment never ends. A trip to Boston isn’t complete without a pilgrimage to the banks of Old Harbor to the Kennedy Library to view artifacts from one of the most pivotal periods of the American era. Visitors can preorder tickets from Trusted Tours and Attractions (https://www.trustedtours.com/store/john-f-kennedy-presidential-library-and-museum.aspx). The company regularly offers discounts on JFK Library admissions on its website and has a satisfaction guaranteed policy. After a journey through the 1960 campaign, visitors learn the stories behind the famed inaugural speech and two JFK hallmarks, the Peace Corps and space program. The intensity of the Cuban Missile Crisis debate is on full display, and Kennedy’s voice fills the exhibits with selections from his famous speeches. A replica of the Kennedy Oval Office includes some of of his favorite items, including the coconut on which he scrawled an SOS after PT-109’s sinking during World War II. While the focus is on the president, First Lady Jacqueline Kennedy and Attorney General Robert Kennedy are featured prominently for their White House roles. The JFK Library offers a large and dazzling display of the first lady’s clothing to showcase the style she brought to Washington. Aside from the public exhibits, the library maintains an exhaustive collection of John and Robert Kennedy’s papers, as well as oral histories on both compiled from their social, political and personal contemporaries. Researchers must inquire with museum officials about scheduling appointments.